1.25" Telescope Extension Tube Adapter with T Threads - Extends out 1-3/8" NEW! 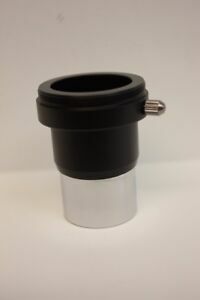 Details about 1.25" Telescope Extension Tube Adapter with T Threads - Extends out 1-3/8" NEW! Thank you for being a great seller..